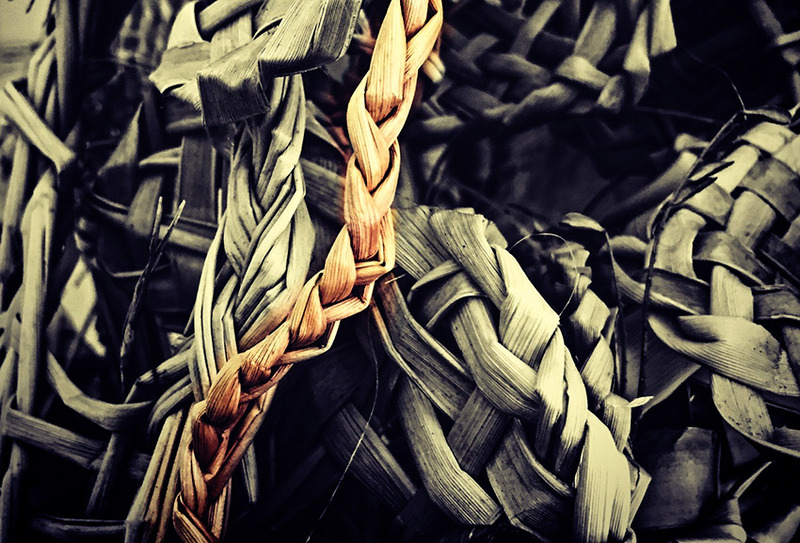 When asked to write a blog with a Tiriti kaupapa, I thought I could write about some common themes I’d researched or found out about over the years, however, there’s plenty of information published about these online and in books. Therefore, I decided on a more personal approach: I would write about my dad’s life. I always knew my father had an interesting upbringing from the stories I heard growing up, and his childhood seemed worlds apart compared to other parents of my generation, including my mother’s. Kerehi Waiariki Grace grew up in Tupāroa, a once thriving seaside village near Ruatoria, during the depression. From a very large family, they didn’t have much in the way of money or personal possessions and there was, and still is, no power from the grid. But they always had plenty of food. Sheep, cattle, and pigs roamed freely and were shared communally or bartered. They also shared their large gardens with the whānau whānui, the extended whānau. who helped. And, there were plenty of communal fruit trees, and the bush also provided. They lived off the land and sea and they rotated kai gathering to different spots for sustainability. They were kaitiaki of these areas. They knew the best times to gather, they studied weather patterns, and our dad used to use the maramataka Māori, the Māori lunar calendar, for fishing and gardening. We had a family reunion in Tupāroa once, when I was in my teens. Everyone woke at dawn and went gathering kai for breakfast. I went with an older cousin, who grew up there, to get crayfish. He knew all the spots, and in just-above-waist-deep water, armed with only shoes, a glove, and a pair of goggles would feel the ‘crays’ with his feet, tell me what size they were, and then dive in to retrieve them. The sack, I was tasked with holding, was filled in no time. We then headed back to our camp, and before 8 o’clock my uncles and aunties were preparing conger eel, shark, fish, crayfish, kina, and pāua for our breakfast feast. My dad enjoyed hunting and eeling. When he was growing up, his grandfather, Raniera, would often give him a gun and just one bullet — to ration their ammo — and tell him to come back with a kai. During another time camping with whānau in Hongoeka, my father prepared us a stew, which tasted like steak, although a little tough. Afterwards we realised it was the rabbits and possums he had shot that morning; the carcasses were hanging on the fence. Dad’s favourite kai was ‘kao’, or the Māori banana. These were the smallest kūmara from their kūmara pit, which were dried and put in the hāngi skin-on. He also loved Pākehā bread that his mother bought every so often from the store in Ruatoria. There was never a shortage of work and chores to do, and living off the land kept everyone busy. Horses ran wild in those days, and my dad and whānau would catch and take them to the sandy beach to be broken in. This was their main mode of transport. My father was very fit and ate whole, natural, organic, and free-range food. He didn’t smoke and wasn’t a big drinker. My mother couldn’t believe he still had all his healthy teeth well into his sixties. I remember hearing that eating fern root was good for your teeth; this was part of dad’s staple diet. In fact, he once cooked some for us. I found it bland and chewy, but dad’s culinary skills were never the best anyway. They also tended gardens daily, collected firewood, and had many other chores. When he was old enough, he took over the role from his tuakana of ploughing with horse and chains. The way dad talked about this, it seemed like it was a kind of introduction to manhood. Their mother sometimes took them to a local tohunga, a kuia, when they were sick. The tohunga cured my dad’s sister’s sickness when the Pākehā doctors at Te Puia hospital didn’t know what was wrong with her. I based a story I wrote for the School Journal entitled The Tohungaon this kōrero under the pen-name Pōtiki. In those days it was illegal to visit a tohunga under the Tohunga Suppression Act 1907 (see the Te Ara website for more information on the act), and I think my dad had blocked it out of his mind because the visits were kept secret. I recall his eyes lighting up when I asked about visits to the doctors — it was as if he only just remembered about the tohunga after my prompt. Once, when I was about ten years old during an aunty’s unveiling in Hiruhārama, I fainted, possibly from heat stroke. I woke up lying on the ground outside of the urupā to a very old kuia reciting karakia and throwing water on me. Reflecting on this later in life, I have no doubt that she was a tohunga. I’ve always felt a spiritual connection with Tupāroa even though I didn’t grow up there. I have fond memories of staying there with whānau who I rarely saw or associated with. There were always ghost stories — my dad had many — and wāhi tapu were identified. I heard of kaitiaki in the form of animal spirits, of which I won’t mention here, and learnt of signs/omens, which were observed, whether good or bad, and subsequent actions were taken based on these. My grandfather was a follower of the Ringatū faith and, on occasions, would be heard reciting karakia. On one occasion, through a sign, he found out a mākutu had been put on him by a local tohunga. This was confirmed when he confronted the tohunga at the pub who said a local lady had asked him to put the mākutu on him. My dad was a native speaker of te reo Māori — it was the language of the home. He didn’t teach us (his tamariki) much reo growing up. I remember waking up late one night and some of his siblings and cousins had turned up at home. All night they were conversing in te reo Māori, a language that seemed foreign but beautiful to me, and I wondered why I couldn’t speak it. 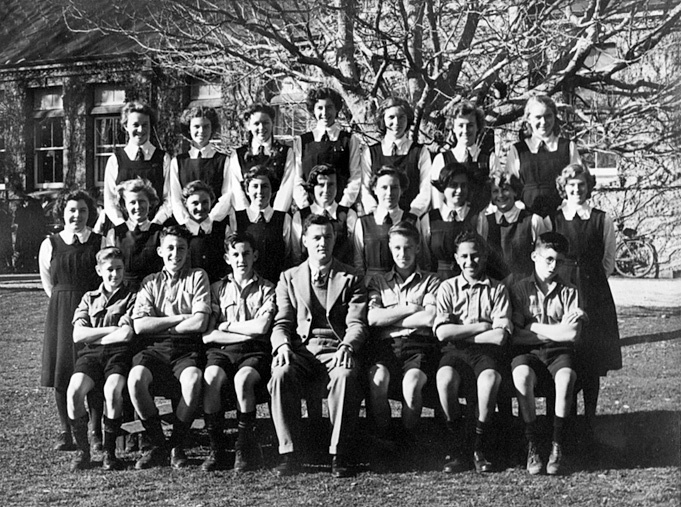 Gisborne High School in the early 1950s. My dad is in the front row – second from right. Dad attended Tupāroa Native School and was strapped on several occasions for speaking Māori. I recall a letter in a newspaper where someone stated this practice was a myth. Many people, including my dad, responded to the letter with their own experiences of being strapped. I found out later that, although this wasn’t written in law, it was the policy in native schools. Although he stated these were bad experiences for him in school, it seemed like he enjoyed school in general. Unlike Pākehā school curriculum — from what dad told me — it sounded like the main things they were taught in school were based on animal husbandry. He also said the whole school created a clay tennis court once, which they dug out by hand. He was excited by this and, I think, tennis was the first sport he ever played. His parents liked their tamariki going to school because they wanted them all to learn English. My dad also said it was the in-thing in those days — everyone wanted to learn. In fact, random transliterations or English words were often heard on the marae on formal occasions to the delight of those gathered. Dad must have done well at school and he and others received Ngata Scholarships to attend high schools. At age 13, he bragged about getting his first pair of shoes and a uniform — although it was the wrong one. He must have strived at high school, and on finishing, his mother announced to his surprise that he was going to be a teacher, and he was sent to Wellington for teacher training. After years of teaching at various rural schools, he became a principal in Porirua, where he advocated for bilingual schools and the rejuvenation of te reo. He then worked at the Department of Education in various roles, and he helped set up different kura and kōhanga. Dad was always grounded in, and a stickler for, tikanga Māori. He had grown up on the many marae around him. He took us for kapa haka as kids and encouraged us to learn the reo. He was a driving force in establishing many marae, kura, and kōhanga reo. I guess, where I’m going with this is that I can see that even in dad’s generation there was still a kind of communal style of living much like our tūpuna. They still retained many of their taonga and, I think, they had the best of both worlds. Before the establishment of a government in Aotearoa, many iwi and hapū had good relationships with Pākehā. There were intermarriages that formed strategic alliances for the benefit of all. This resulted in thriving economies. The confiscation of land and laws that consequently resulted in the alienation of Māori land over the years was devastating. The individualisation of land by the Māori Land Court caused much division amongst hapū and whānau, who traditionally lived communally. This was a major influence in the urban drift (encouraged by the government) of Māori seeking employment and a better life. In the larger cities a ‘pepper potting’ policy was in place, in which Māori families were purposely scattered to live surrounded by Pākehā families and not together. The loss of land, culture, language, traditional knowledge, whanaungatanga, wairuatanga, kaitiakitanga, and other taonga resulted in a loss of identity for generations of Māori. Colonisation and assimilation of Māori were deemed necessary by most Pākehā. This undermined the tino rangatiratanga of hapū and the rights of Māori to be treated equally to those of British citizens. All these things combined had, and still has, a major impact on the health — te taha tinana, te taha hinengaro, te taha wairua — of Māori. Māori is still overrepresented in poor statistics for crime, education, unemployment, and health – even in this day-and-age with all the strategies developed by successive governments to combat this. 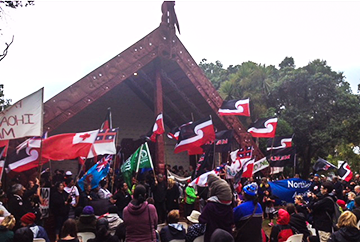 178 years of Treaty — What has been the intergenerational impact on your local iwi? I encourage you to localise the Treaty of Waitangi to where you currently reside so the day has even more meaning for the Māori students in your class and adds real contemporary texts for all students. As Waitangi Day approaches and the media hype is sensationalised by the latest prejudices, divided opinions, and historic events of past Treaty of Waitangi protestations, I ask that you spare a thought for the student in your class who is Māori, whose descent claims an ancestry that reaches back to the beginning of time. To this student whose character continues to be shaped and influenced by the impact of the signing of the Treaty of Waitangi in 1840 to 2018, 178 years later. As a teacher, you have the opportunity to teach and LEARN how the Treaty of Waitangi may have shaped the identity of students’ whānau, their hapū, their iwi. You could extend an invitation to local people to talk about the Treaty story of their iwi and how this important partnership document has impacted and continues to affect their rights as hapū/iwi to this day. Here lies an opportunity to privilege cultural knowledge and perhaps learn about hapū and iwi approaches to maintaining their customary rights and sovereignty over their lands, water rights, and fisheries. As the leader of learning in the class, you determine the stories that will be heard, the voices that will be listened to, and the careful selection of resources that will be viewed. These will all have a huge influence on how students view themselves as Māori, as iwi, as Treaty partners, and as tangata whenua of Aotearoa. My mokopuna has ancestral descent lines from Te Arawa, Ngāpuhi, Ngāti Porou, Ngāi Te Rangi, Tūhoe, Te Whānau a Apanui, and Tainui. 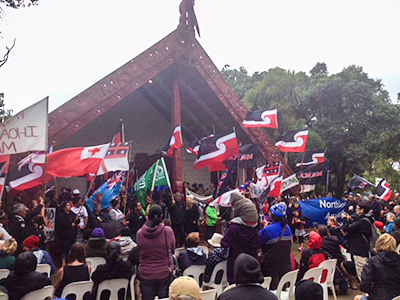 The Treaty of Waitangi has had a huge impact on each of these iwi and Treaty stories may echo similar themes, but the experiences are raw, distinctive, and unique to each tribal area.They cannot be hybridised to the Māori and the Treaty of Waitangi story, but rather, the Treaty and its impact on the iwi of Te Arawa. The Tūhoe story of the Treaty. Do not be seduced to thinking that the story ends there, as these may be individualised further to hapū or sub tribes within this iwi grouping. Not one story is the same, nor the approach as you will see in the Ngāti Porou example. In 1840, Thomas Chapman, a well known missionary for the Church Missionary Society (CMS), was asked to seek signatures for the Treaty of Waitangi in the Rotorua and Taupō districts. The Treaty of Waitangi was first signed on the 6th February 1840. It established a British Governor in New Zealand. It recognised Māori ownership of their lands and gave Māori the rights of British subjects. It subsequently opened the door to colonisation, which had a devastating impact on tribes all over Aotearoa, including Te Arawa. In 2009, Prime Minister John Key formally apologised to Te Arawa for historical Treaty breaches against Te Arawa. “The Crown profoundly regrets and unreservedly apologises for the breaches of the Treaty of Waitangi and its principles.” Historical Treaty breaches noted in the Crown Apology included the Crown’s aggressive purchasing techniques for land opened to Pākehā settlement in the central North Island. Te Arawa suffered losses, in the main, through consolidation schemes and public works takings. The Crown officially handed over to Te Arawa $85 million in cash and assets that year. Two important points I’d like to make here. First, George’s comment, “spanning generations of our tūpuna”. At what cost were the negotiations to families, hapū, and iwi? How were they able to fight the might of the Crown with limited resources? What drove them to continue the struggle that spanned generations? What stories of resilience, of struggle, of protest, of courage come from these times and the deeds of the ancestors of these mokopuna? The wording of the “Crown’s aggressive purchasing techniques for land” is interesting as well. Of the hapū and iwi whose lands were seized, illegally taken or stolen, what impacts were suffered on the lives of Te Arawa people? What price in land and economic loss did Te Arawa pay for British citizenship? The effects are still felt today and are a part of our history as Te Arawa. If you were to ask, what the Treaty means to me, previously my answer would have been the legalised theft of our land and the economic decline of our tribe. Now, it is about the future and how Treaty settlements can contribute to the economic prosperity of our tribe. However the colonial residue of land loss is still an unforgotten and very real mamae (hurt). 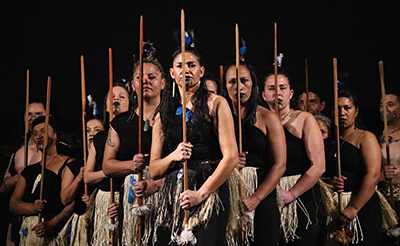 As part of the healing process, in 2005, Te Arawa were able to express the suffering they had endured to Crown Ministers during the “Telling the Story” hui (George, 2005). This enabled Te Arawa to tell their stories of grievance, of suffering, of hurts that have had intergenerational impact. Do these stories have a place in the telling of the story of the Treaty of Waitangi in your class if you live in the tribal boundaries of Te Arawa, in Rotorua? Moving in to 2018, however, what might the current Treaty story say? My telling would not only involve the retelling of this history and disruptive influence of colonisation but also the exciting future that lies ahead for our mokopuna. What does a Te Arawa mokopuna future look like? How have Te Arawa used Treaty settlement money so Te Arawa can thrive and prosper? In 2009 the trust was given a 9.2 million Kaingaroa Forest settlement fund to invest for the collective benefit of Ngāti Whakaue. Thanks to “astute and strategic investment plays”, Ms Paul confirmed the asset base had since doubled and was on track to surpass $20m by 2020. 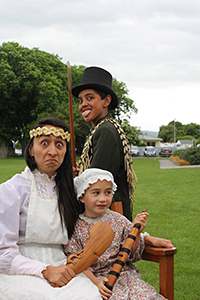 In 2016, the Trust distributed $707,975 in grants to Whakaue marae and supported various community events like Whakaue Whakanuia, which is an amazing one-day celebration of what makes a person “quintessentially Whakaue”. It is a day where Ngāti Whakaue marae congregate, including Te Papaiōuru, Tumahaurangi, Te Kuirau, and Waikuta who perform a series of items reinforcing tribal whakapapa and waiata. It is a day that privileges Whakaue tikanga and reo. What iwi stories will you invite into the classroom? What stories will you tell my moko, or the mokopuna who sits in your class in the lead up to Waitangi Day whether you are at the top of the North Island or the bottom of the South Island? Are you aware of the Treaty of Waitangi claims local iwi have made to the Waitangi Tribunal? (a commission of inquiry, that inquires into claims brought by Māori relating to Crown actions that breach the promises made in the Treaty of Waitangi)? 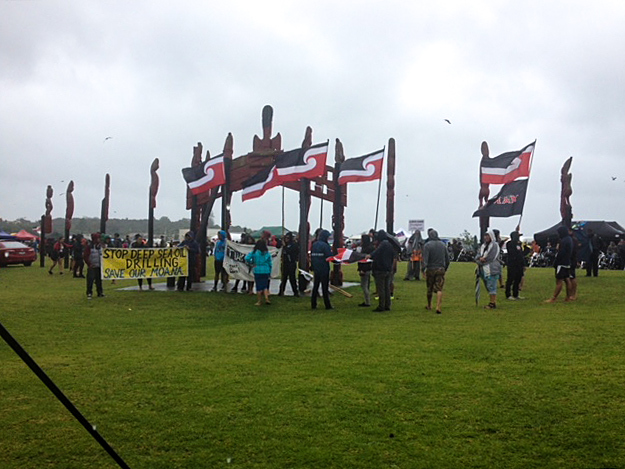 The Foreshore and Seabed controversy, which concerns the ownership of the country’s foreshore and seabed, has many iwi claiming they have a rightful claim to the title under the Treaty of Waitangi. In November 2004, New Zealand Parliament passed a law deeming the title to be held by the Crown — in other words, public ownership. This law, the Foreshore and Seabed Act 2004, was enacted on 24 November 2004. Some sections of the Act came into force on 17 January 2005. Widespread protest arose. Māori anger at this legislation resulted in the formation of the Māori Party. The Act was repealed and replaced by the Marine and Coastal Area (Takutai Moana) Act 2011. If you return to the purpose of the Treaty of Waitangi and what was signed in 1840 and 1860, iwi do have rightful claims, and honouring the partnership agreement made 178 years ago still has an enduring impact to this day. Let’s return to my mokopuna and her whakapapa. Ngā Puhi — If you are from the North, could your Waitangi unit be about the recent Northland Inquiry or Wai 1040 which is examining Ngā Puhi’s 600 plus Treaty claims? Some of the stories uncovered in the hearings talk of the confiscation of land for unpaid rates. Families who were trying to maintain ahi kā (keep the home fires burning) on their land were forced to give up land to pay rates arrears. An example of aggressive land purchasing techniques? Ngāti Porou — The Takutai Moana ratification process for the iwi is huge. In October 2008 Ngā Hapū o Ngāti Porou Foreshore and Seabed Deed of Agreement was ratified and signed by 48 hapū and the Crown at Parliament. 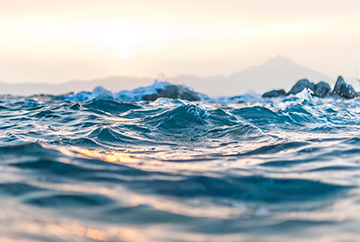 However, the repeal and replacement of the Foreshore and Seabed Act, with the Marine and Coastal Area (Takutai Moana) Act 2011 has provided the basis for these hapū and the Crown to negotiate a range of improvements to the Deed. At Te Runanganui o Ngāti Porou Annual General Meeting held 25 November 2017, 47 hapū had ratified amendments to the 2008 Ngā Hapū o Ngāti Porou Foreshore and Seabed Deed of Agreement and 8 groups had yet to decide (slide 9). 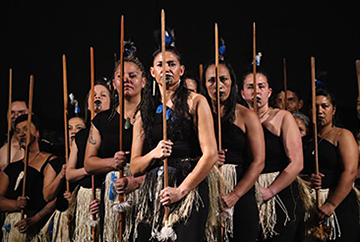 The work that goes in to ensuring each hapū has the opportunity to engage with their iwi organisation and have a voice in exercising their rights as mana whenua is significant. 47 hapū having a voice in the running of their iwi affairs and a unified approach to negotiating with the Crown is no mean feat. Legislation for the iwi is a major priority in 2018 and ensuring partnerships with the Crown are honoured. Whāia ko te mātauranga hai whitiki te iwi, kia toa ai. Seek ye from the fountain of knowledge so the people may be uplifted, thrive, and prosper. Te Runanganui o Ngāti Porou Annual General Meeting. Retrieved from http://www.ngatiporou.com/sites/default/files/uploads/20171123%202017%20AGM%20slides%20consolidated.pdf Accessed January 24th 2018. As Waitangi day commemorations draw closer, it is an ideal time to reflect on what this day may mean to us. For me, it is an ideal opportunity to bring important issues such as culture, identity, and language to the forefront. In our special edition Waitangi week blog series, we share with you a wide range of perspectives on Treaty related topics. 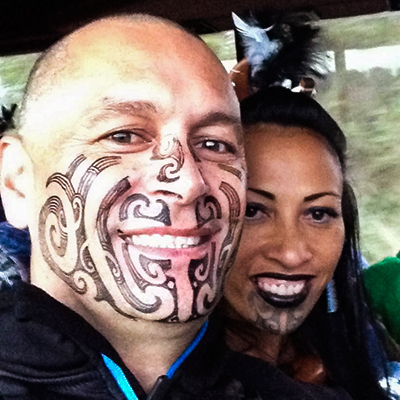 As the first blog in this series, I explore the kaupapa of te reo Māori in our society. So, that begs the question — He taonga rānei te reo Māori? Is te reo Māori indeed a treasure? 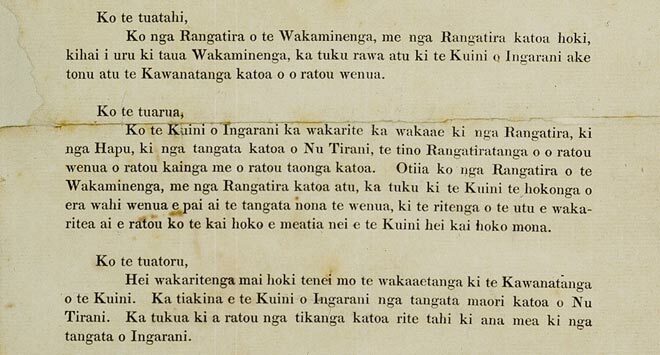 At the very heart of Te Tiriti o Waitangi, Article 2, we see mention of the word ‘taonga’. 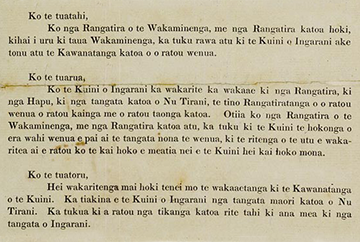 In the reo Māori version of the Treaty, the chiefs were confirmed and guaranteed the exercise of the chieftainship, or tino rangatiratanga over their lands, villages, and ‘taonga katoa’ — all treasured things. The crown also stated in the Treaty that there was to be exclusive and undisturbed possession of these treasures. Te reo Māori has, however, been disturbed drastically. On Waitangi Day this year, we remain in a state of fierce reclamation of our language. We continue to fight for this precious taonga that wasn’t duly protected and confirmed as intended under te Tiriti. Te reo Māori is part of my absolute being. It flows like blood through my veins, it is in my spirit, it is in my soul. It is like oxygen, it heals, it makes my heart sing. It unites me with my tūpuna and, if I nurture it, it will connect me with my mokopuna. My reo is a huge part of my identity, possibly because I had to learn how to “be Māori”. Connection with te ao Māori was not a part of my upbringing. I started at the beginning and one step at a time have learned to walk and talk in the language and ways of my ancestors. It hasn’t always been easy, and, as I went through the stages of cultural reclamation, I learnt that attitudes towards te reo Māori are hugely diverse. I saw this diversity in my own family, my friends, and in fact everyone I interacted with. In order to uncover the plethora of reasons why te reo Māori may or may not be embraced widely throughout our society, we need to dig deep into the ways in which the human heart responds to things Māori in general. Negativity towards te ao Māori is often felt, seen, and heard. This negativity is at times fueled by myth, media, intergenerational perspectives, or even perhaps from a space of divine, blissful ignorance. It often starts with the phrase, “I’m not racist, but….”. At the far end of the negativity scale, we see complaints received when a child is taught te reo Māori in the classroom or when parents fume because their children came home singing a Māori song. On a less explicit front, it is also felt when no attempt whatsoever is made to correctly pronounce Māori words. It is felt in the unseen, where monoculture is ever present. As negativity continues to flourish, so does a cohort of society that is very pro-Māori. We see this in the uptake of those engaged in learning te reo Māori, in those who are committed to correct pronunciation, and those that encourage the use of reo in their everyday lives. There are also those that engage in kaupapa Māori, those that have relationships with Māori, and those that attend events in Māori settings such as marae. To all those that are taking any step, big or small, towards learning and using te reo Māori, thank you! Of all the perspectives and attitudes towards te reo Māori, of particular interest is the notion of fear when faced with the idea of engaging with te ao Māori. Is this a fear of the unknown, fear of reprimand, fear of offending, or just fear of getting it wrong? When you learn te reo Māori you will and do get it wrong. It is like learning anything new — it is very difficult to master without practice. The only way through is through, and as with all the other learning challenges that life presents, te reo Māori is no exception to the rule. Sometimes fear may be a barrier — that, if we are honest, may actually be a handy excuse for not engaging in things that make us feel a bit uncomfortable. “We do maths, for a week during our Matariki celebrations”. Without a doubt, maths is an incredibly important life-long skill. How incredible could it also be to place importance on learning te reo Māori to transform not just one’s education, but to transform the very land that we live in. This is not meant to be a criticism for the sake of identifying things I don’t agree with, but it is a fight, it is advocacy, it is a plea — if our children are indeed the future, our conscious choices to do what is right for them and our society — to be free of racism, injustice, and inequity truly matters. And then there is the argument for correct pronunciation. A focus on correct pronunciation may be painful or annoying to some. It may feel like a criticism, but imagine if everyone believed that 1 + 1 = 3. Some things are simply wrong. Like mispronunciation of te reo Māori. The language, then, just gets put into the old “too hard” basket. Or, is it even that pride may also play a part in our attitudes towards te reo Māori? I am not intending to come across as self-righteous; I am full of fault and my shortcomings are numerous. I am also full of love for, and despair over the current state of te reo Māori in our society. Advocacy for correct pronunciation is imperative, and even more so because the issue is never the issue. Underneath all the layers of mispronunciation is possibly a simple reason. It is this — ‘I actually don’t care’. I do not believe it is too hard. I do not believe it can’t be learnt. It is a conscious choice that each and every one of us makes every time we need to use a Māori word — will I attempt to say this or not? It is not about ability, but a decision made deep in the human heart. Although discounted by many, I believe te reo Māori is currently in a state of vibrant recovery. Mainstream New Zealanders are turning towards our language now more than ever before in our history. The powerful model we see in Te Tiriti o Waitangi is one way we could actually work together to protect our taonga. I no longer see the Treaty as an object of negativity as I once did in my fiery youth. It now fills me with hope about a future filled with potential to restore te reo Māori as a taonga. Whenever I read the words of Article 2 they speak to me, reminding me of a time when we believed that language was a taonga. For the sake of a better future, let’s start today. A new word, committing to learning better pronunciation, an attitude shift or fulfilling your dream of fluency. Kia kaha rā ki a tātou katoa. He taonga te reo. E tangi e reo, mōu e ngaro haere nei. Otirā ko ana kupu tohutohu. Kāore ko tōna reo, i waihotia mai. Ko Rangtaiki rāua ko Waiawa ngā awa. Ko Ngāti Whare, rātou ko Ngāti Koro, ko Ngāti Ruapani ōku hapu. He uri ahau o Ngāti Manawa ki Murupara me Ngāti Kahungunu ki Te Wairoa. Ko Tangiharuru te tangata, ko ngā tukemata o Kahungunu! I tērā tau, 2017, i riro i a au te karahipi iWhara a Tākuta Vince Ham, nā Tātai Aho Rau. Nōku te whakamānawa, nōku te whiwhi, nōku te hōnore. Ko te iWhara a Tākuta Vince Ham, he karahipi rangahau hei whakapakari i ngā pūkenga o te pouako. Me aro te kaitono ki tētahi kaupapa whakahirahira o te ao whakaako, o te ao mātauranga anō hoki. Mā te kaikarahipi te kaupapa rangahau e kōwhiri, māna hoki e whai. Mā Tātai Aho Rau ngā pukenga o te kaikarahipi e tautoko, e hāpai i te roanga o te tau, kia tutuki ōna hiahia, kia eke tana rangahau. Ka mihi ki a Tātai Aho Rau e whakawhanake ana i ērā pūkenga rangahau ōku. Ko te kapa haka me ana hononga ki ngā pūkenga ako o te tamaiti ngā whāinga matua o taku rangahau. E pēnei ana te takoto o ōku whakaaro i te korenga o ētahi o Ngāi Māori i whakaae he kaupapa whakahirahira te kapa haka ki ngā wharekura rānei, ki ngā kura tuarua rānei. Kōtore whererei ana te rongo e noho ana ētahi ki te pae o kore whakaae! E 23 ngā tau māua ko taku tane e whāia ana ko te reo me ōna tikanga te reo matua o te whānau, hei whakarauora hoki i te mātauranga Māori ki ō māua whānau. Kua roa tā māua whawhai i ngā whakaaro auraki. Heoi, i tētahi o ngā wāhanga o taku rangahau iWhara, i warewaretia katoatia aua akoranga, nā te mea i taku tuhinga e mea ana, “he iti noa iho ngā kōrero rangahau mō te kapa haka i tēnei ao hurihuri”. Tērā pea ka pānuihia tēnei o aku tuhinga e ōku karangamaha o te motu, ā ka puku ngā rae. Ka rongo au i ā rātou kupu e whakatika mai ana, me aro kē au ki ngā mātauranga Māori. Ka tika hoki tēnā kōrero, kei te ao Māori kē ngā tini kōrero hei taunaki i ngā hua o te kapa haka. E hia tau au e kite ana i ngā hua o te kapa haka mō te iwi Māori? Pērā ki te reo, he taonga tuku iho nā ō tātou tupuna. 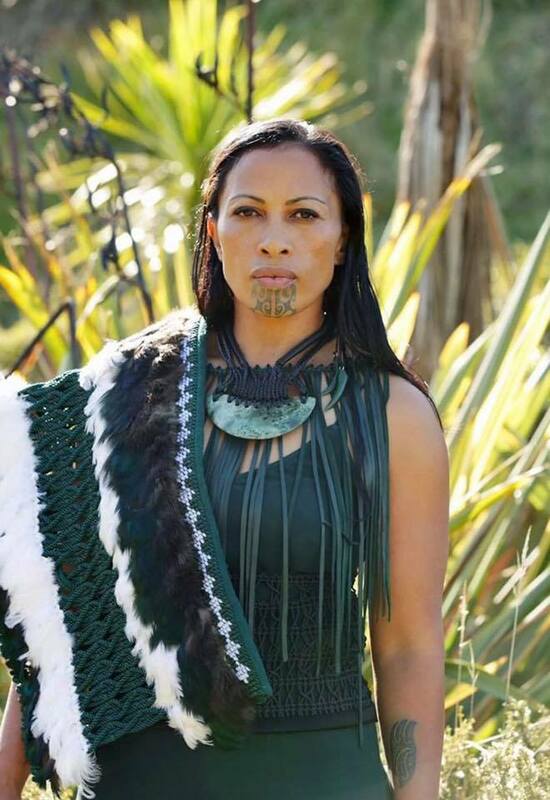 Nā te kapa haka, ka rere te reo rangatira, ka ako ngā tauira i ngā kōrero a te Māori, i ngā tikanga Māori, ka mutu, ka tangata whenua ēnei akoranga i roto i a rātou. Mōku ake ko te rongoā mō ngā raru katoa e patu nei i a Ngāi Māori, kei te ao Māori, kei te mātauranga Māori. Nā tēnei rangahau iWhara kua oho anō au, kua titi ki te ngākau, ki te whatumanawa ngā mōhiotanga, ngā māramatanga o te mātauranga Māori, kia taunga ēnei āhuatanga i roto i a tātou, ka māmā ake te hīkoi i te ao Pākēhā. Over the last few years, I’ve worked with several organisations who want to improve engagement with Māori on educational issues. As Pākehā, I’ve been involved in these kinds of projects because of experiences and commitment to building knowledge and practice about how, as non-Māori, to best affirm Māori authority. I’ve been really interested in the impacts of this type of learning, and how this can strengthen our relationships. My basic assumption has been this: if non-Māori recognise and affirm Māori aspirations by sharing power to make sound decisions, then we can achieve a Tiriti-based present and future. This benefits everybody because we can leverage diverse forms of knowledge and skills — opening up space for co-innovation. These opportunities aren’t new — people have been building and sharing knowledge for ages in order to enhance our lives. The problem is that, when we encounter complicated topics like, how power is shared between cultural identities, that’s when people can get stuck. My Treaty Partner, tangata whenua, have long said that our education system has a long history of doing harm, and that schools have been unsafe places. Why? Because, they tend to perpetuate and privilege the worldviews and practices of people who look like me: Pākehā/European, male, middle-class, able-bodied, married hetrosexual (and bald)! This mono-cultural approach doesn’t work for Māori, because it erases their own understandings of the world. It does this by hiding its own cultural biases. Cultural bias creates disparity in health and education. It does this by negating multiple ways of being. Cultural bias doesn’t allow for how different people experience the world, behave, and organise themselves. Cultural bias blames people for “their own educational failure”. It can also impact on teacher judgements about Māori student performance. This does intergenerational harm to individuals, families and communities. Unfortunately, this is part of the colonial reality I/we have inherited in Aotearoa. A reality that benefits some, and does huge amounts of harm to many other individuals, families, and communities. Cultural safety provides one of many alternatives to cultural bias and mono-culturalism. It offers an educational framework for the analysis of power relationships between professionals, organisations, and those we serve. Irihapeti Ramsden was a key architect of cultural safety in nursing. She was a game-changer who worked tirelessly with Māori and non-Māori to improve service delivery for Māori, and consequently, for all people. She was an innovator and trailblazer. So, how has cultural safety changed (if at all), and what are the roles of non-Māori in creating culturally safe organisations and practices? I sat down with Dr Heather Came-Friar and Claire Doole to explore this issue — two Pākehā public health experts. I wanted to see what our cousins in public health can share with us as public educationalists. Kei ngā ringa tōhaunui, kei te mihi atu ki a kōrua tahi. Thanks for taking the time to talk with me about cultural safety. In your work, what does “cultural safety” mean? Heather: When I think of cultural safety I think of Irihapeti Ramsden and her work in nursing. The idea has changed form over years. It’s different in different places. There’s pockets of excellence, and pockets of horror! In public health, we don’t talk much about “cultural safety”. We talk more about a Treaty partnership or relationship, and cultural and political competencies. For us, it’s about power — noticing power, and how power is transferred via Te Tiriti o Waitangi. Claire: Like Heather, my understandings of cultural safety come from Irihapeti Ramsden. I’ve also been influenced by transcultural nursing and critical social theory. Basically, nurses need to reflect on their position and power. But it’s impossible to reflect on one’s power and position without humility and curiosity. This is cultural safety. When professionals recognise their own power and culture, it prepares them to work with the subtle cues of diversity. It helps people understand, affirm, and check their assumptions about the cultural context of people who differ from themselves. Recently, while working with Māori and non-Māori on educational projects, I listened to several Pākehā say that they felt “culturally unsafe” when they’ve been challenged by Māori. What struck me was this paradox: by attempting to create cultural safety, it can be unsafe for some. How would you respond to this type of experience? Claire: Cultural safety and discussions about the Treaty between health professionals isn’t a time for safety — it’s a time for risk (for Pākehā)! When we, as Pākehā, are challenged we can become defensive — this is a human reaction. When I’ve been seriously challenged, I’ve had to work through my defensiveness. I would say, Pākehā just have to bear with it — it’ll be ok. Naming things make a difference. If I can’t name a problem, then who is going to? Everyone has to bring their best emotional intelligence to the table, and understand that emotional expression in one culture is not the same in another. If things go off track, go back to basic conversations — stuff that isn’t loaded. This helps build the rapport. The work of Stephen Covey has been helpful for me. Heather: Some of this work is uncomfortable — this is part of learning. We don’t always set it up to be uncomfortable. Part of the challenge is that sometimes things may have happened in the past, which triggers people. The challenge here is to enter into dialogue and stick with it. I find going back to basic principles of facilitation — ground rules, timeout, dialogue — useful here. Basically, there needs to be goodwill and trust. If these things are broken or dysfunctional it’s really hard. I believe that, as a group Pākehā, have a dysfunctional relationship with Māori. The challenge is to find common ground and support people to heal on both sides. So, if the challenge is to support people to build good projects for both Māori and non-Māori, what tips do you have for individuals and organisations to do this? What non-Māori individuals can do engage positively with Māori: Find out what the goals are; listen, observe… then offer practical help; create reciprocal relationships; stick with it! Claire: Firstly, I know that I don’t know. So, I decided that if I wanted to build a relationship with Māori I needed to be useful. This meant I followed Māori goals and protocols in that place. It isn’t about me setting the goals and asking them to contribute. If I sat and listened, then I could hear. This was incredibly powerful and humbling. If I was useful I’d stay in the picture longer. I work closely with a Māori colleague, and I profoundly respect her opinions. We now have a very successful relationship — we model the relationship in public. We value each other’s input. We listen to each other. We don’t second guess one another. I’ve learnt not to act on instinct. I now ask her before I act. Respect is at the bottom of it. Heather: Take the opportunities to engage — accept invitations. Take the opportunity to listen. I’ve been lucky to have mentors, like Whaea Makere Wano and others. She guided me. I would go with her to wānanga and just park my own stuff, and listen with an open heart. This helps be an effective ally. It’s about reciprocal relationships generally. We respect, trust, care, and maintain dialogue with each other. The gel is taking the time to trust each other. The ToW preamble – it’s about whanaungatanga – stay in there. Don’t be scared off. We’re all learners, and I’ll be a learner until I’m an old lady. What non-Māori organisations can do engage positively with Māori: Think about systems change, hierarchies, and where power lies; create shared values & vision; recognise Māori intelligence; make a resourced plan. Claire: The assumption behind cultural safety was that, if nurses know how to work in culturally safe ways, then things will change; if nurses enact this, then eventually we will have systems change. But this ignores the hierarchy of an organisation. Even if people have the best of intentions, they get overwhelmed. Nurses and teachers don’t hold all the power — despite our relationship with patients — none of that counts as you go further up the hierarchy. Organisations need to come back to shared values. Until organisations have walked along the path and are clear with each other — you can’t take the next step. If you’re not clear about mutual values, then things won’t work. If you’re clear about the values, things will fall into place. Heather: Creating culturally safe organisations is a powerful opportunity to recognise Māori intelligence. If people with power and authority don’t embrace Māori intelligence, the other parts of the organisation won’t. In general, Pākehā don’t seem to trust Māori. So, leaders need to affirm and not marginalise Māori knowledges. This means being sharp and ensuring Māori can develop programmes that work for Māori. Have a shared vision for the kaupapa, and then make a plan and define the steps. It’s about building and maintaining relationships, reflecting on work-plans, sharing power and resources. Tēnā anō kōrua! Thanks again for your work, determination, and willingness to share what you’ve been learning along the way.